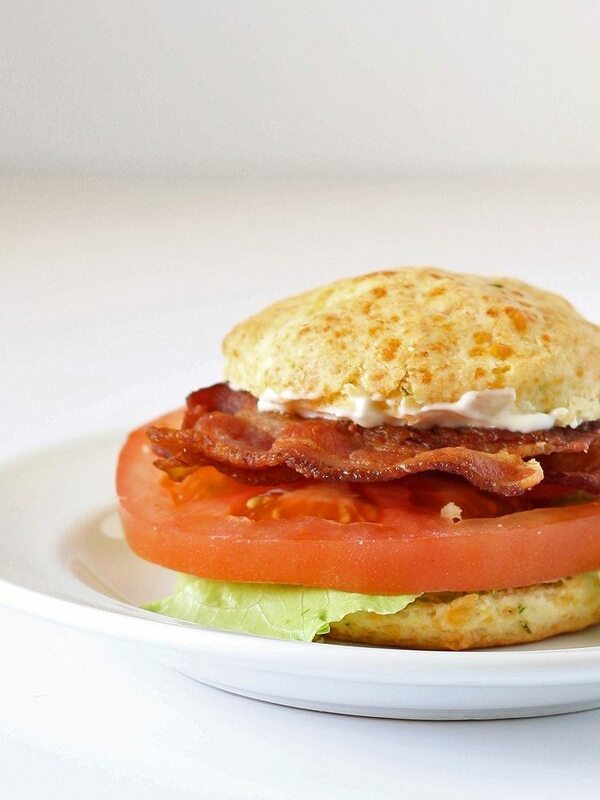 This cheddar chive biscuit BLT sandwich is going to be your new favorite lunch. 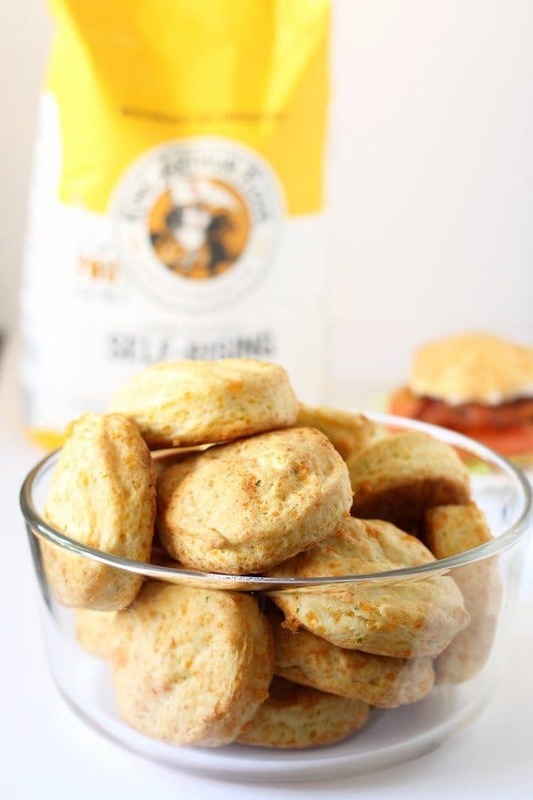 Use some of these biscuit making tips to make the better biscuits! You know what your BLTs have been missing? Biscuits. I have been a BLT lover for quite some time. Mr. B and I go to a lot of diners and he thinks my diner routine is hilarious. I look at the menu for 10 minutes, maybe ask for another minute or two, and always order a BLT or BLT Club sandwich. How can you resist the lure of crispy bacon, fresh lettuce, juicy tomatoes, hot toast, and mayo? 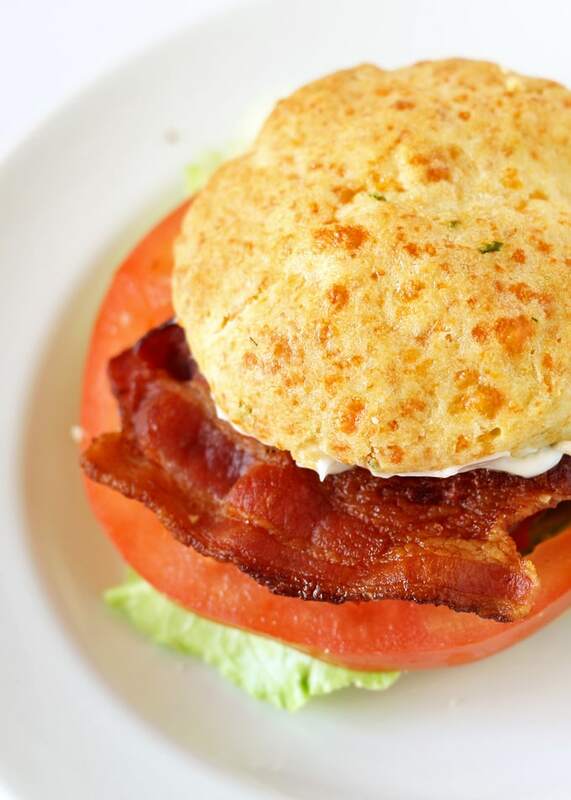 Being the BLT lover that I am, I can appreciate a good one and this cheddar chive biscuit BLT really hits the spot. Be Gentle. I don’t know about you, but I have the tendency to work that dough like its going out of style. Wrong wrong wrong. 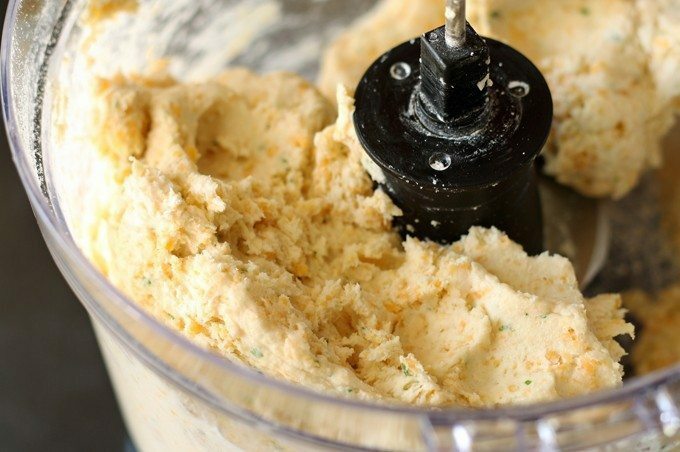 Avoid overworking the dough after you add the liquid. Chill Out. You want flaky biscuits, right? 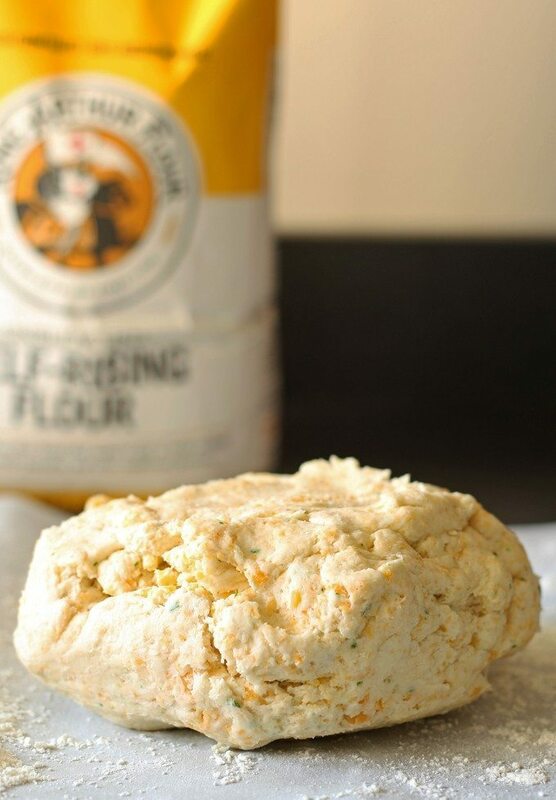 Start with very cold fat – butter, shortening, lard, etc – to help you create flaky biscuits. 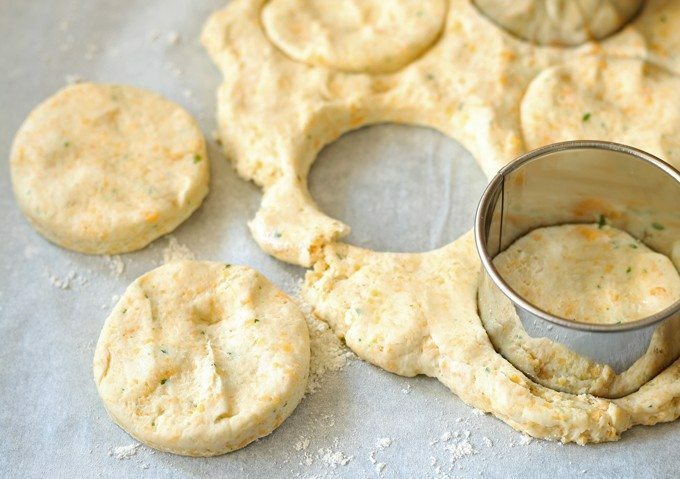 Use A Biscuit Cutter. The cleaner the cut, the higher the rise. Freeze Before Baking. 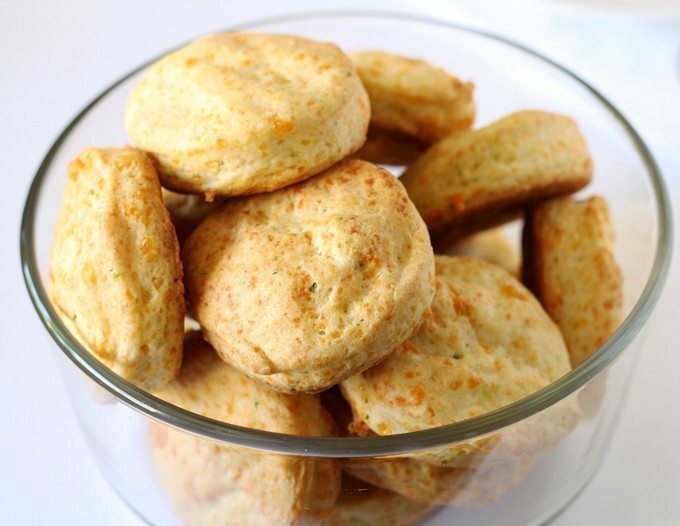 Throw your shaped biscuits in the freezer for up to 20 minutes before baking to improve texture and rise. When in dough… er, in doubt (couldn’t help myself! 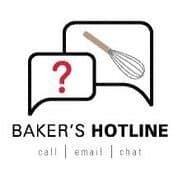 ), King Arthur’s Flour has a Baker’s Hotline (855.371.BAKE or here). Perfect for any baking trouble you may come into. 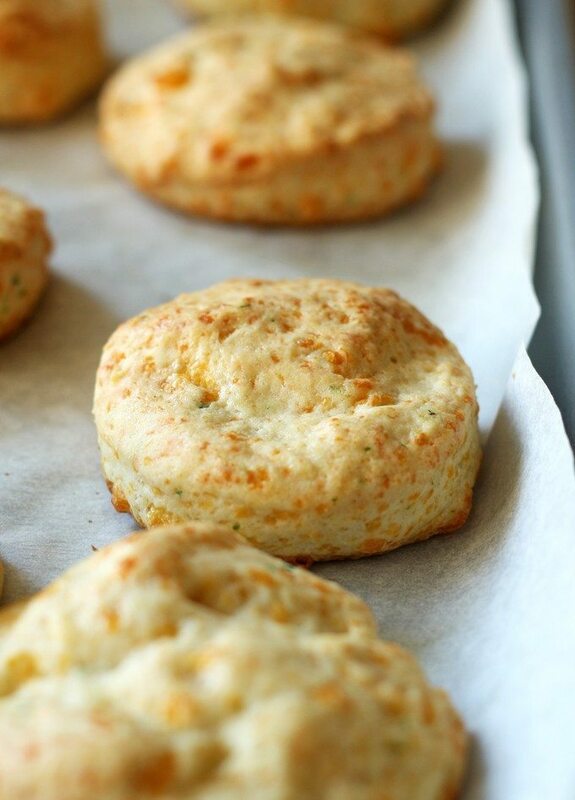 Now that you have made your cheddar chive biscuits, you need to assemble your sandwich. Slather on a coating of mayo, then layer your bacon, tomato and lettuce. I like to put extra tomatoes and lettuce but that’s just me. Don’t feel bad if you’re piling on the bacon instead – there is no such thing as too much bacon. 1 cup heavy cream plus extra for the tops of the biscuits. Move an oven rack to the upper third of your oven and preheat oven to 425 degrees. Cut the cheese into a few chunks and place the cheese, flour and chives in the work bowl. Process until the mixture is smooth and the cheese is finely chopped. Add the cream and pulse until the dough is wet. Transfer the dough to a lightly floured surface. Pat the dough down until it is 3/4" to 1" thick (I lean towards thinner for BLTs). Use a 2" biscuit cutter to cut rounds. Place the biscuits on a parchment lined baking sheet. Brush the biscuits tops with the extra heavy cream. Use a sharp knife to slice a biscuit in half width-wise. 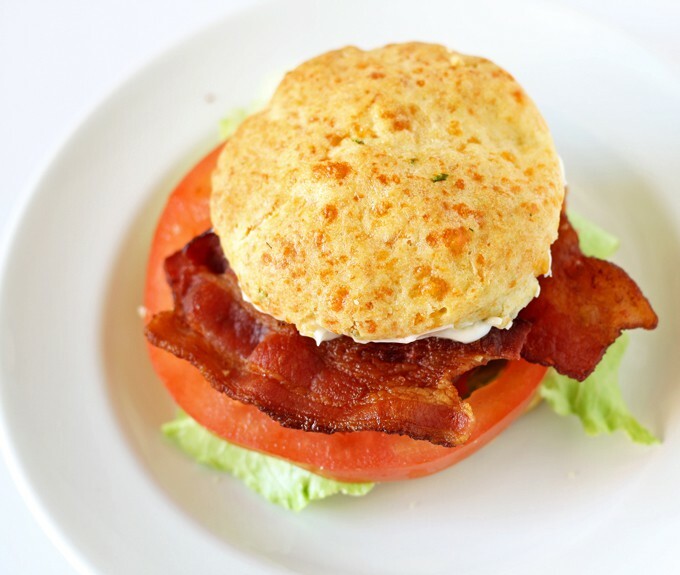 Apply mayo to the inside of the biscuit, then layer the bacon, tomato and lettuce on the biscuit bottom. Top with the other biscuit half. Thank you King Arthur Flour for sending me supplies to make these biscuit BLT sandwiches! Looking for more sandwich recipes? Try my hummus and veggie sammie or these open face black bean cake breakfast sandwich! Hi there – found this post on the chic on a shoestring link party! Those biscuits look amazing!!! And seriously easy. I am going to add bacon and serve them to my hubby and brother in law next weekend! Thank you Chrissa!! I hope they like it! Those biscuits look so delicious! I have never thought to use biscuits instead of bread for sandwiches. I will have to give your recipe a try. Thank you for sharing! Totally making these! They sound wonderful! That bowl o’ biscuits? That’s all mine! I need those biscuits. So interesting about freezing them before baking! I have a feeling I’ll be on a first name basis with everyone who works that hotline. I’m such a nervous baker!! Thanks for linking up at #SaucySaturdays. Lol, I’m a nervous baker too. I always buy extra ingredients in case I have to start over at the beginning. Oh my these sound so delicious! Jenny! This is DEFINITELY what the BLT has been missing! Funnily enough cheese and chive biscuits (scones in NZ) are my favourite! I absolutely love this!! Thank you Dini!! I wonder why I never thought of using biscuits before!